Our family lived in Louisville, Kentucky from 1963 to 1969. I went back last August and spent a week looking around at my old house, school and other places I frequented as a kid. When I was taking pictures of our house on 2312 Tuckahoe Road, I walked down to the house that my childhood friend Johnny Sagg and his family lived in. Here’s the photo I took of it. I just remember looking at Jim and then looking at Johnny and the three of us ran as fast as we could toward’s Johnny’s house. When we got there we tore through the front door and up the stairs to Johnny’s sister’s room. Inside was his sister and two of her friends. They seemed really old to me, but I think they were probably 14 or 15-years-old. I was eight, Jim was ten and Johnny was nine-years-old. His sister and her friends often teased us or shooed us away like we were some sort of nasty rodents roaming the grounds. The tone of the question wasn’t phrased in a pleasant manner at all. We agreed to be quiet and she took her one piece record player out of her closet, set it in the middle of the room and plugged it in to a socket on the wall. She took the album, put it on the turntable, placed the needle on the record and started the player. Soon we were all listening to the first song on the album, “Taxman,” which was one of three George Harrison songs on the album. The others were Lennon/McCartney songs. We were siting in a circle and I remember ceremoniously passing the album cover around and looking at it. It was a line drawing of The Beatles along with a collage of old photos of The Beatles. it was unlike any other Bealtes album cover we had ever seen. I didn’t know it then, but the drawing was by Klaus Voorman, a friend of theirs from Hamburg, Germany. I remember one of the girls saying she thought the album was ugly. I thought it was cool, but didn’t say so because I was afraid of getting kicked out of the listening party. The back cover was a black and white photo of the band and they were all wearing sunglasses. They all seemed to like the Paul McCartney songs the best and one of them remarked he was the only one who was still cute. I remember when the last song came on. 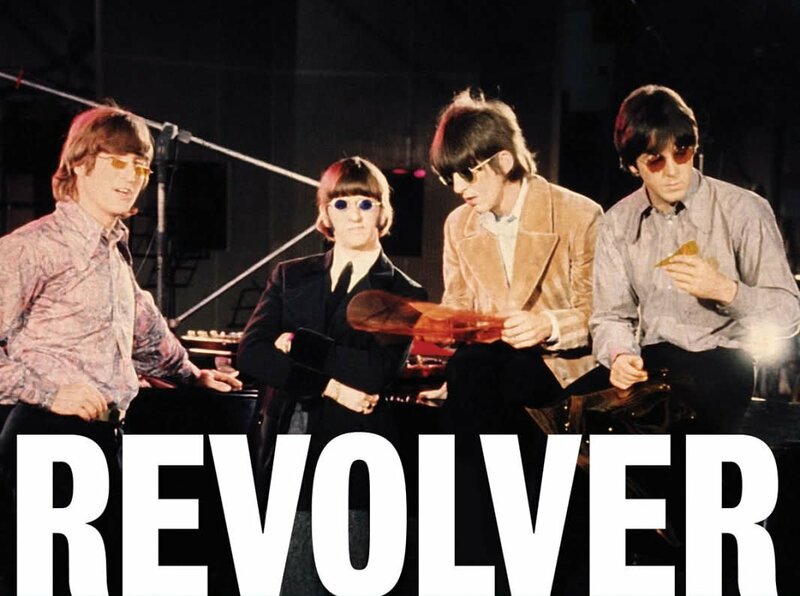 The song was “Tomorrow Never Knows,” and it was The Beatles first foray into what would become known as psychedelic music. There was a droning sitar, strange drumming, weird sounds and out-there lyrics like, “Turn off your mind, relax and float downstream.” I later learned most of the lyrics were adapted by John Lennon from the Tibetan Book of the Dead. 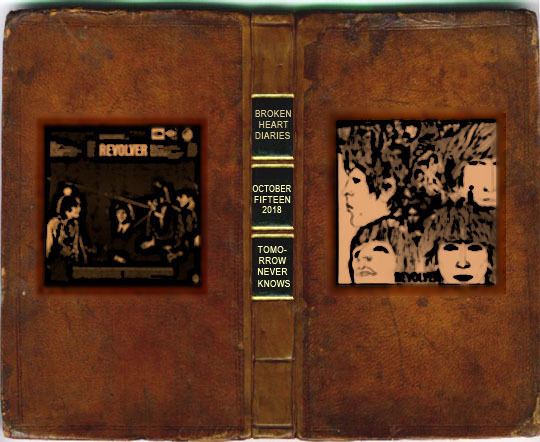 The girls all unanimously hated “Tomorrow Never Knows,” but I loved it. It sounded like something I had never heard before and I was excited about it. After the record was over, Johnny Sagg’s sister threw us out of the room and Jim and I walked back to our house. On the way back home Jim told me he read that The Beatles were taking a drug called LSD and that’s why the music was different. “I’d sure like to try that stuff,” I confided to my big brother. “When we get older we will,” Jim told me. Tomorrow may never know, but Jim sure did! About seven years later we were fully psychedelisized and flying high in the ‘70’s! 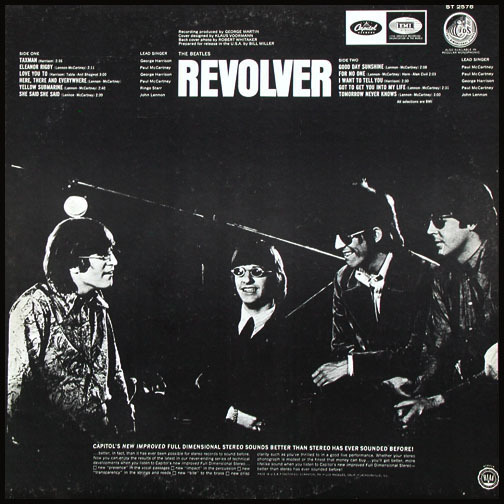 This is a limited edition lithograph of the cover of Revolver that Klaus Voormann issued on an anniversary of the cover. It was number 226 of 555 prints and my brother Jim got this. I can’t remember how or why he came in possession of this print, but it was one of the few things I kept of his after he died. Below the album cover art is a comic strip he drew that shows the history of the album cover. Whenever I look at it it takes me back to that day in 1966 when we first heard this album.